Web channel Linda Ikeji TV is continuing its original production plans with a new unscripted series for 2018 called Gidi Girls, reports Gabriella Opara. Produced by Santiago Roberts, Gidi Girls is a reality TV show starring five women who live in Lagos. It will revolve around their day-to-day lives, allowing the audience to see ‘Lasgidi’ (aka Lagos) through their eyes. Promising a lot of spontaneous real-life drama, the producers of Gidi Girls said the show will feature the glamour, career hustle, cat fights, partying and love-life drama of the five girls. Executive produced by Linda Ikeji, Nigeria’s top blogger and CEO of Linda Ikeji TV, Gidi Girls will begin airing in 2018 on pay TV platform DStv, YouTube and online TV network, Linda Ikeji TV. 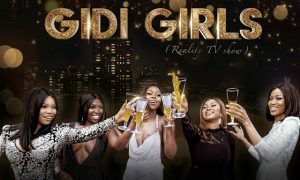 An official announcement is yet to be made about the cast or the launch date of the show but many Nigerians and followers of Linda Ikeji’s blog are looking forward to Gidi Girls, judging by their social media comments. The show comes soon after news of another of Ikeji’s upcoming reality TV series for next year, Oyinbo Wives of Lagos, which Content Nigeria reported here.